Just days after the release of Ndibatsireiwo Myke Pimp and TRK, colletively known as The Other Side have unveiled their debut self-titled production. Featuring production mostly by TRK, with the exception of a Tay Beats production and only one feature they made sure that there where no spotlight stealers. 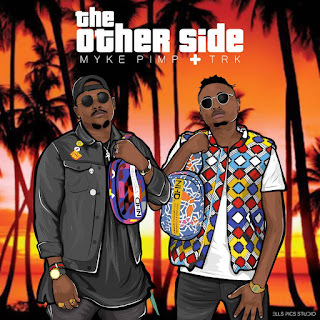 Overview: Shortly after the release of Ndibatsireiwo Myke Pimp and TRK, collectively known as The Other Side have unveiled their debut self-titled production. Featuring production mostly by TRK, with the exception of a Tay Beats production and only one feature they made sure that there where no spotlight stealers. Spekk Verdict: After clinching the Best Collaboration Award at the 2017 Zim Hip-Hop Awards Myke Pimp and TRK saw it fit to do more music together. This is how The Other Side came about. Personally I think they should have made it an album as opposed to an EP. The project is over before you really get into it. Maybe I'm too used to long form projects. TRK does more singing than rapping here, which might leave some craving for his raps. The production is solid and more laid-back than thehard-hitting bangers Myke Pimp is known for. There's even a love song in there too. Want to know what the other side sounds like? Give this a spin.